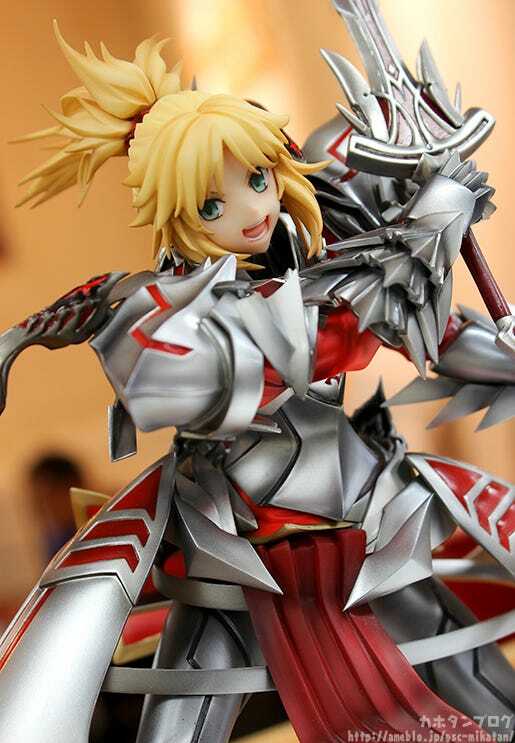 From the light novel with an anime adaption on the way, ‘Fate/Apocrypha’, comes a 1/8th scale figure of Saber of “Red” [Mordred] wearing her iconic armor. 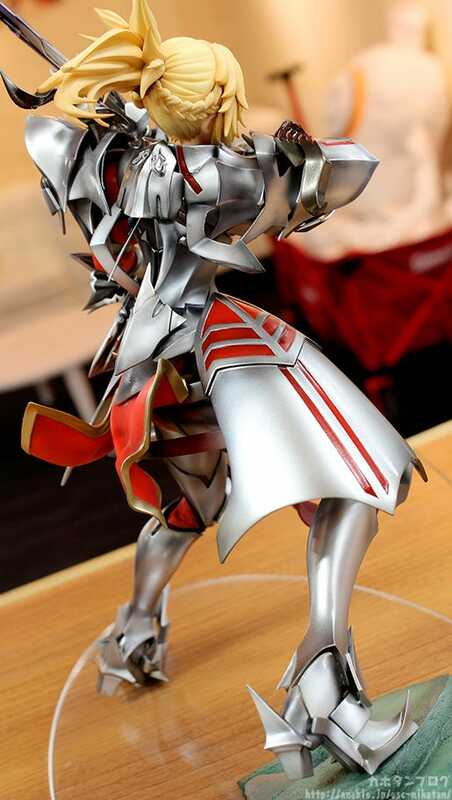 The sharp-looking design of her armor as well as the disassembled and rebuilt form of her helm “Secret of Pedigree” attached to the back of the armor have been faithfully represented on the figure. She is posed standing on the remains of a fallen golem with the Noble Phantasm “Clarent” in hand – the blade glowing with a brilliant light. 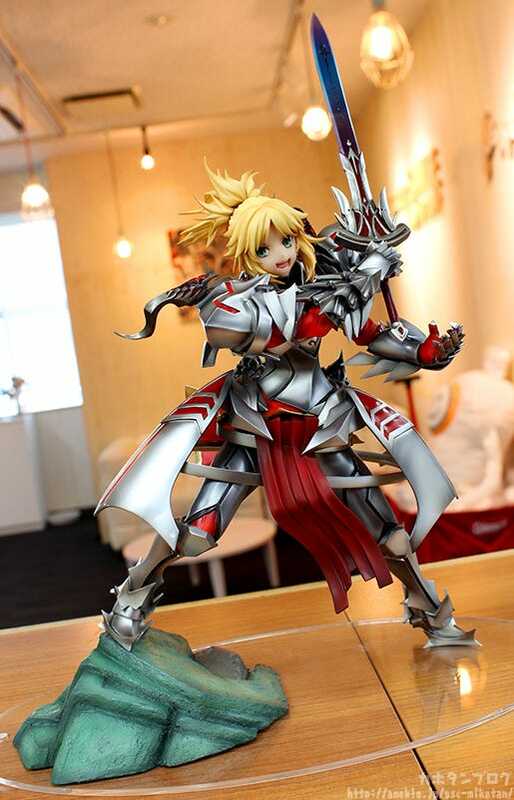 The rebellious knight has been carefully crafted to capture all of her charm in figure form! Be sure to add her to your collection! The figure’s planner was none other than Phat! 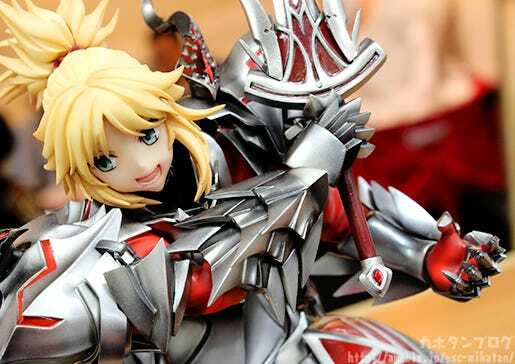 Company’s Uchitaro (@uchitaro) and he has joined me on the blog today to speak his thoughts on the figure! You can really feel his love for the character as well as the Fate universe with the amount of detail that has gone into this figure!! So let’s get right to it! I think anyone will agree that the first thing anyone will notice on the figure is the texture and detail of the armor she is wearing! 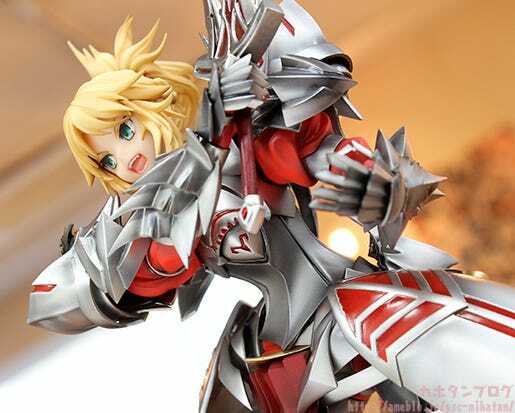 The dynamic pose together with her facial expression all create an epic scene from the battlefield! One thing to note is that the armor is not all simply colored the same, but instead carefully considers where there are shadows and different textures and alters the use of paint for a more realistic rendition of the iron armor! Uchitaro: Take a look from the back as well! If you look close you will notice that the area from her shoulders down her back actually has the Noble Phantasm that was used to hide her identity: Secret of Pedigree! This was originally a helmet, but was disassembled and rebuilt to form the back part of her armor that you can see here. Those who know the story will know that her sword and helmet here are in the form that appeared after she revealed her true name, bringing out a bit of the story for fans to enjoy as well! Suwabe: I, I see! In other words you not only get to enjoy the revealed form of Saber of “Red”, but also get a feel for the events that led up to her revealing herself! Her expression is also very suited for combat! 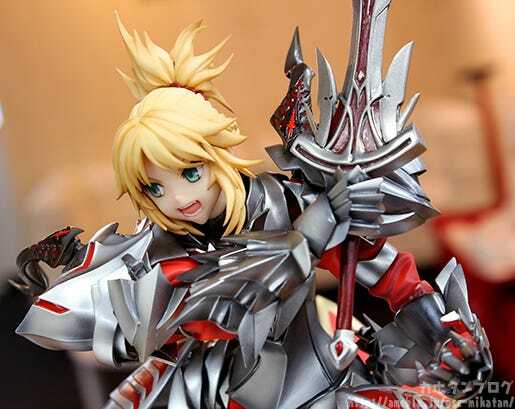 Such a gallant look in her eyes, and that open mouth with each of her teeth carefully sculpted also capture the vigorous atmosphere of battle! 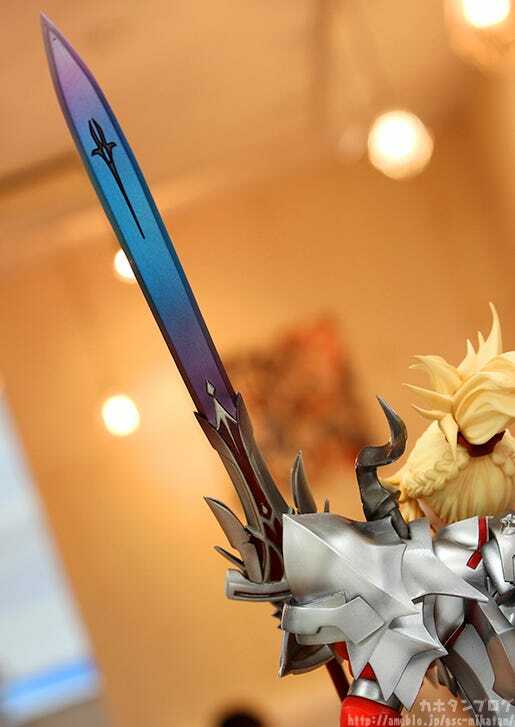 Let’s take a closer look at her Noble Phantasm, Clarent! Just look at that stunning gradient! Uchitaro: The purple-blue-purple gradient is based on the original description, “The color of a titanium bike muffler exposed to high temperatures”. Suwabe: Such a beautiful selection of colors! 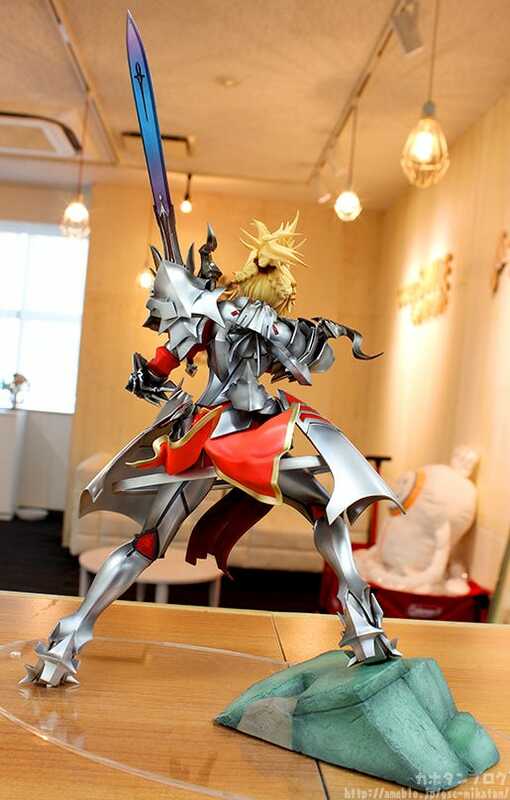 When you look at the figure as a whole her Noble Phantasm really stands out thanks to the coloring! 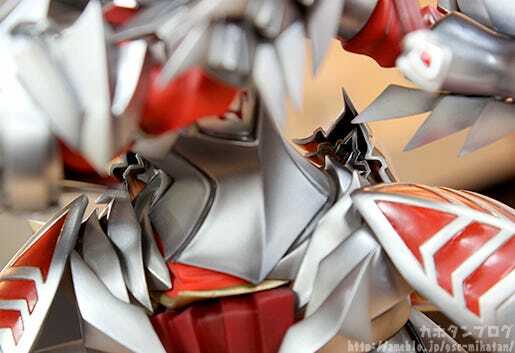 ▲ The reverse side is also faithfully sculpted and painted! 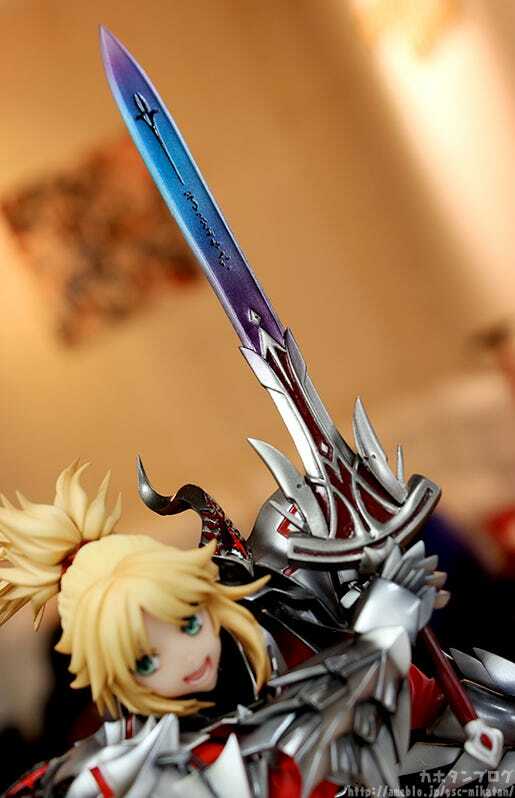 The hand grasping onto her sword and the sculpt of the spiky gauntlet and armor are simply amazing! Due to the position of her arm when you look at her from the front you can’t normally see her chest, but when you take a look from a different angle you can see that the mark on her chest and the layers of her chest armor are all faithfully included on the figure’s design!! ▲ The armor on her feet also have some rather painful looking spikes! It’s these little details that all come together to create an amazing figure! ▲ A closer look at her hip area where you can better see the details! I really wish you could see them in person!! Preorders close on the 11th May 2017 at 12:00JST!